Got Stormy, a three year old filly by GET STORMY, graduated in a Gulfstream Maiden Special Weight on Sunday going one mile on turf in 1:35.00. She was making her first start for trainer Mark Casse, after being acquired privately by owner Gary Barber. Got Stormy was bred, foaled, raised and sold by Crestwood Farm. CRESTWOOD UNVEILS “BREED RISK FREE” PROGRAM! NEW STAKES WINNER FOR GET STORMY! 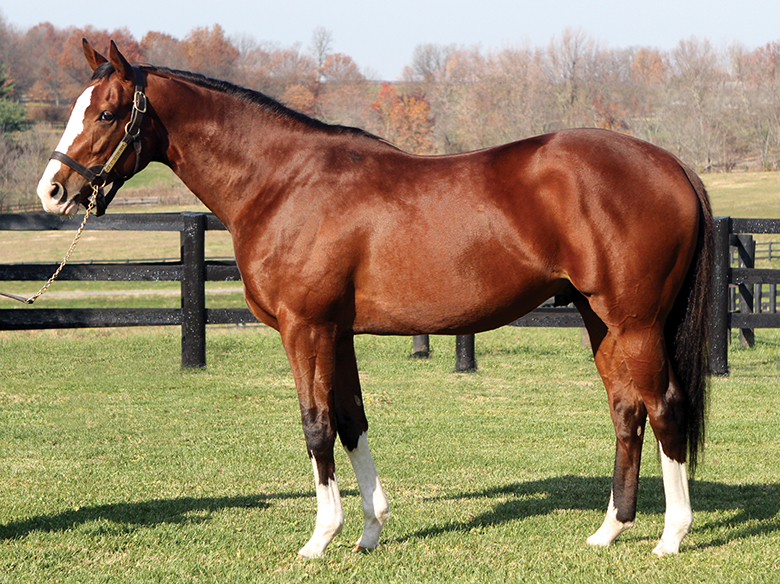 ANOTHER G1-WINNER PRODUCED BY CRESTWOOD FARM!